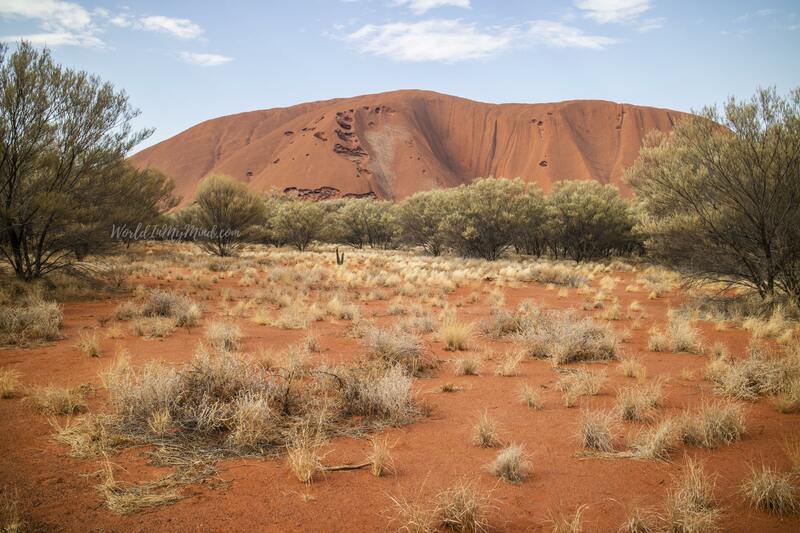 The plane to Uluru, Australia’s Red Center, is overcrowded with mostly Japanese tourists. One of them, sitting next to us, bursts into a sincere laugh and shakes E.’s hand – they both have the same camera. 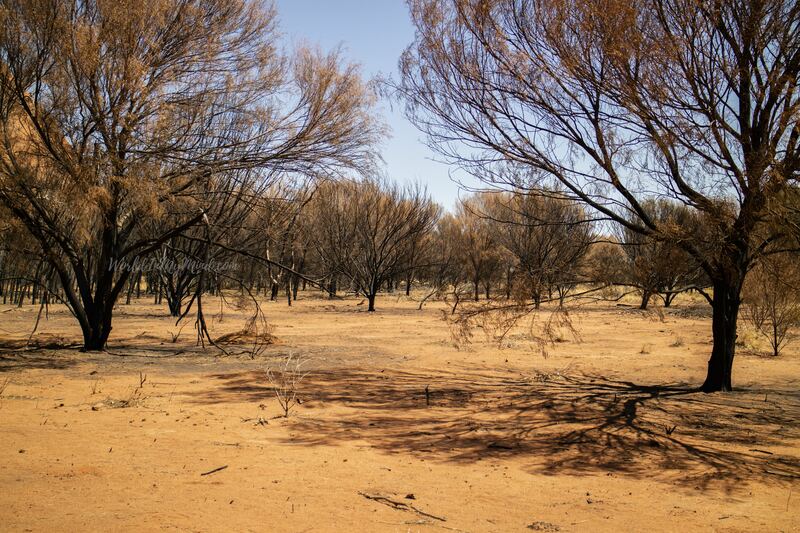 The lush tropics of Queensland change into a red-orange, arid landscape. Here again, I am impressed by the unexpected Australian kindness: we are informed on which side of the plane we will see the sacred rock. The cabin crew goes even beyond that. As I wait impatiently to get a glimpse of Uluru for the first time, a cabin crew member shows me Australia’s red heart in the distance. ”There it is, do you see it?”, he points with a smile. I snap a few shots in amazement as we quickly descend to the reddish earth below us. We land in an otherworldly environment. The only color my eyes perceive is orange and all its nuances. The only tactile sensation my skin clashes into is dust. 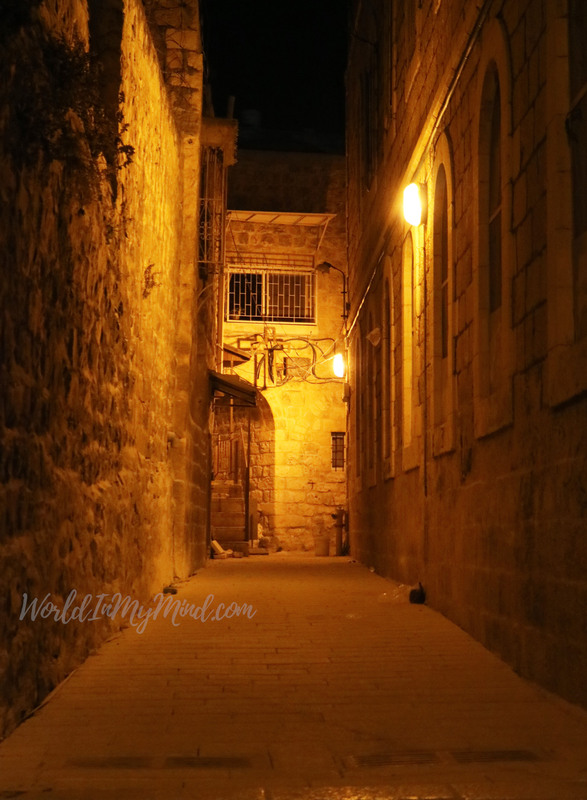 I am overwhelmed and want to fill my pockets with sand, to bury my feet in the golden dunes. Very soon my wish is granted and my black sneakers would be constantly filled with orange sand during our stay in the Northen Territory. 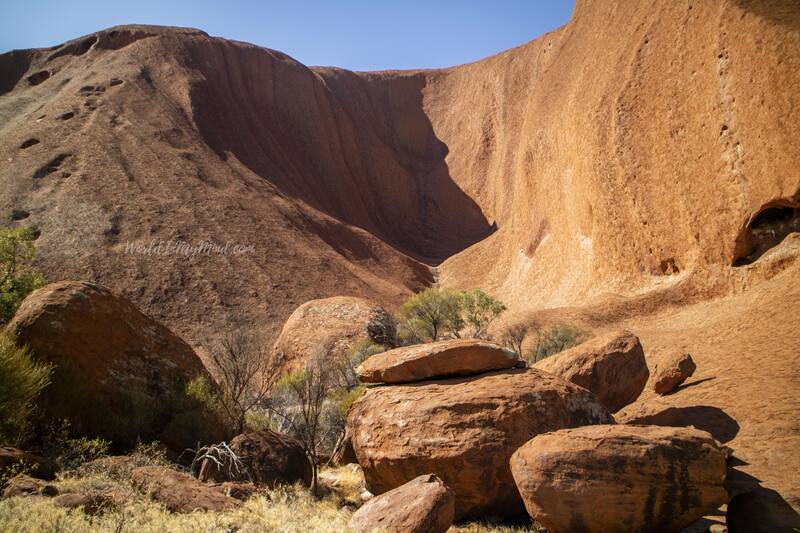 Uluru is the indigenous name of Ayers Rock. 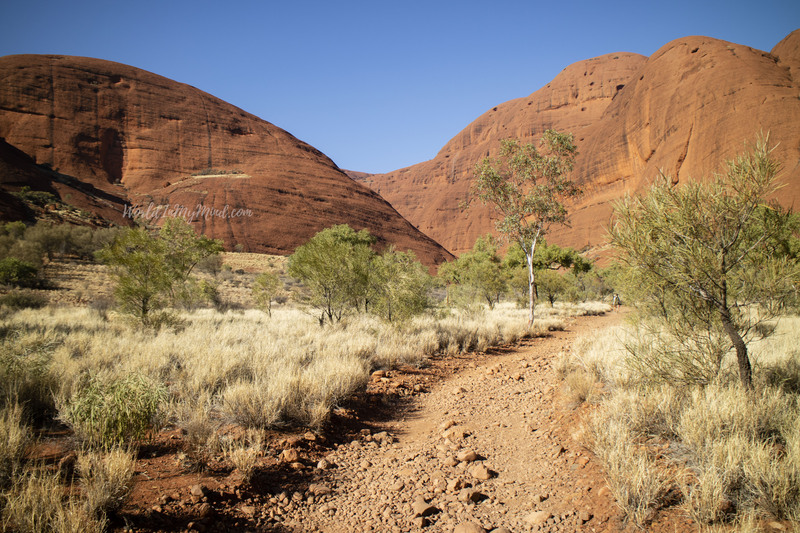 It has a sacred meaning for Anangu, the local Aboriginal people who own the site and the surrounding land. 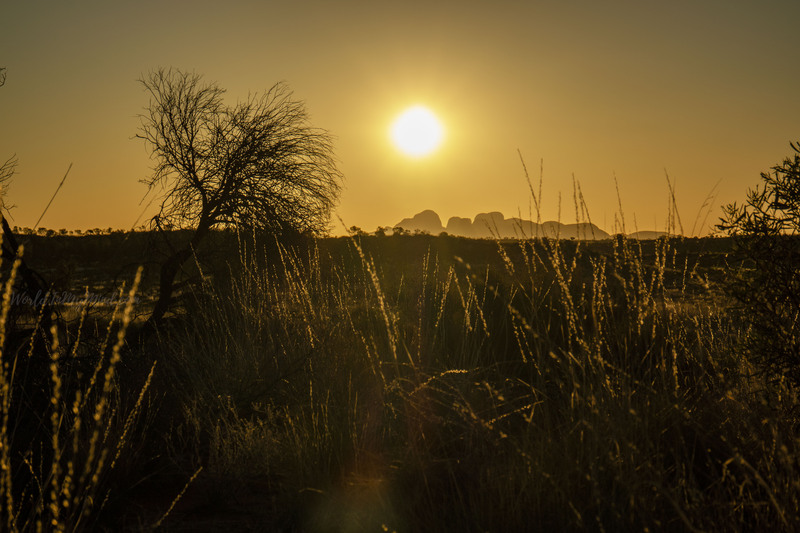 The monolith is an ever-changing chameleon from dawn to sunset, during heat and (rare) rainfalls. The natural sandstone giant is 348 m high and it takes approximately 3.5 hours to walk around its base. 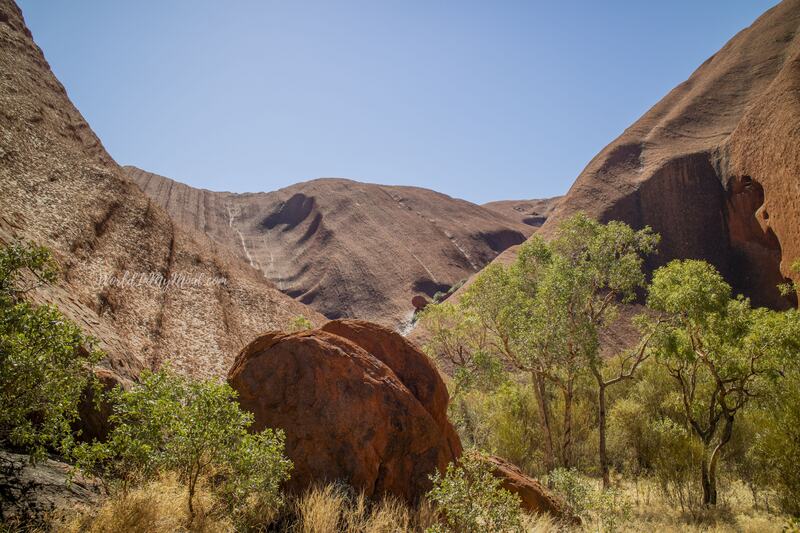 Uluru’s estimated age is 600 million years. 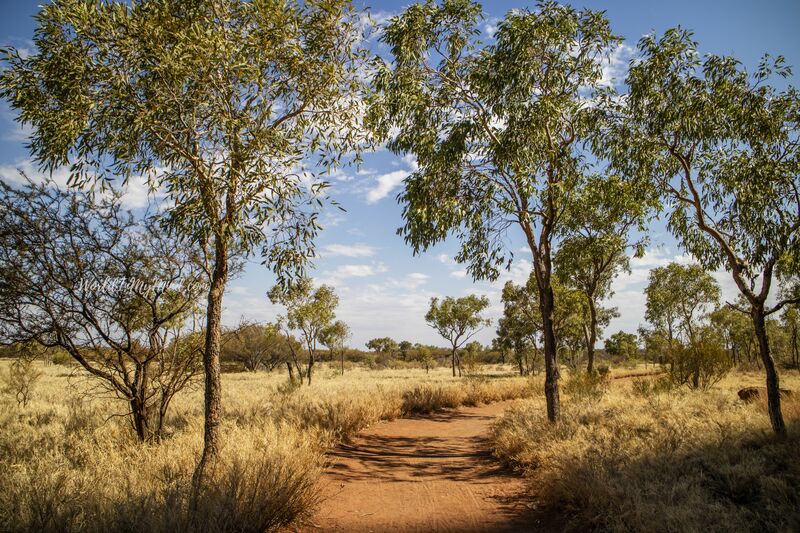 The area around it is a source of bush tucker, a native Australian food consumed by the indigenous Australians. 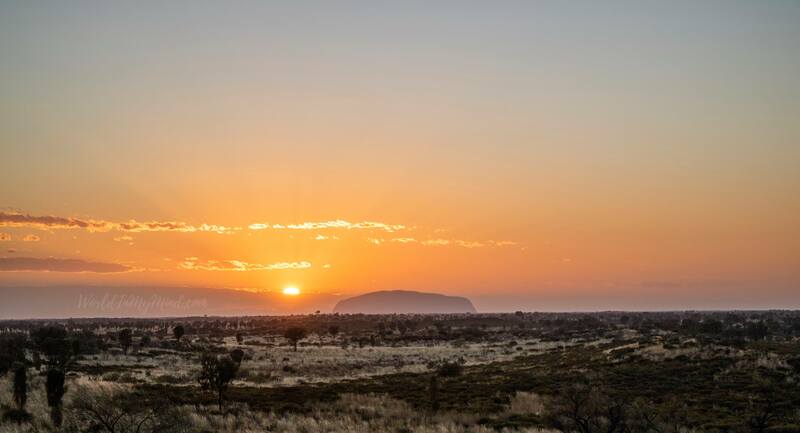 Yulara, the closest inhabited town near Uluru, offers aboriginal art galleries, free and pricey activities as well as limited accommodation and dining options. It’s not even summer and I already feel the whips of the strong, platinum-colored sun and the dry, hot wind. Occasionally people on bikes pass us, less often on foot. Despite the many daily visitors, the feeling is rather solitary. A French-speaking family religiously collects red sand in a plastic bag. 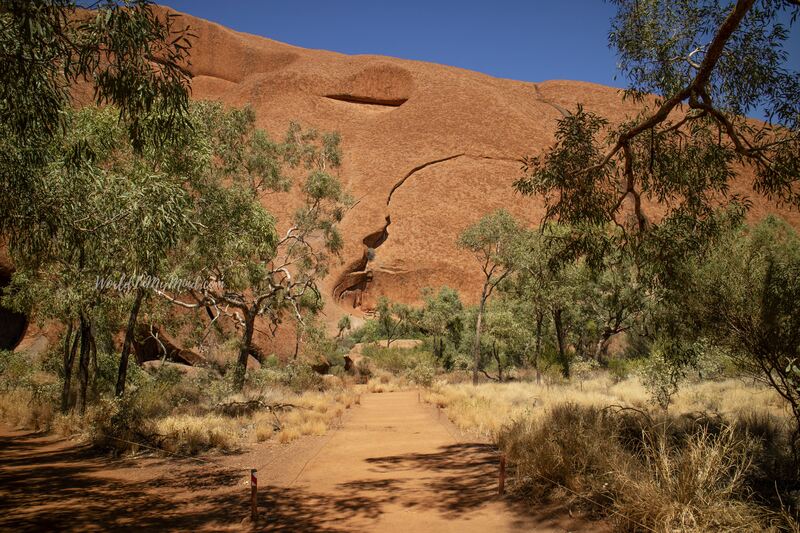 I look at them with pity as I remember the Uluru curse – everyone who takes natural souvenirs from the sacred site is punished with bad luck. 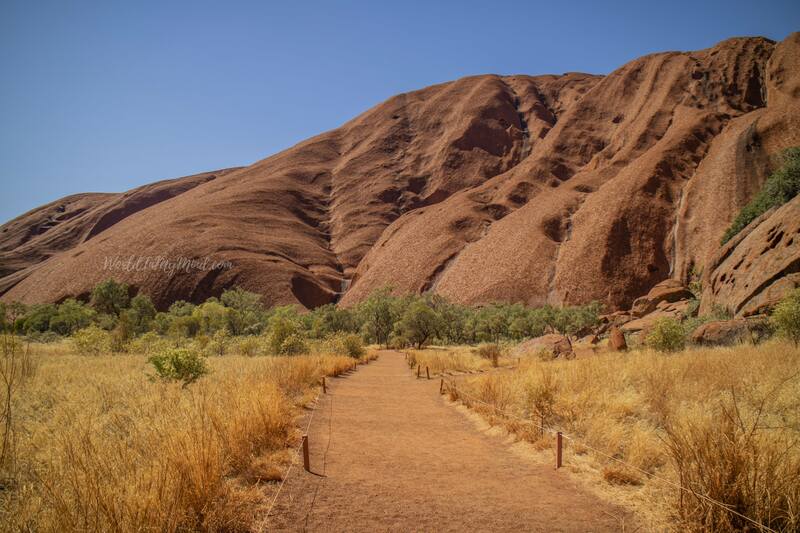 There are several paths around Uluru, each of them telling a story from the Dreamtime. Myths and legends about creation, battles, and revenge, caves with ancient paintings make the sacred site even more mysterious. 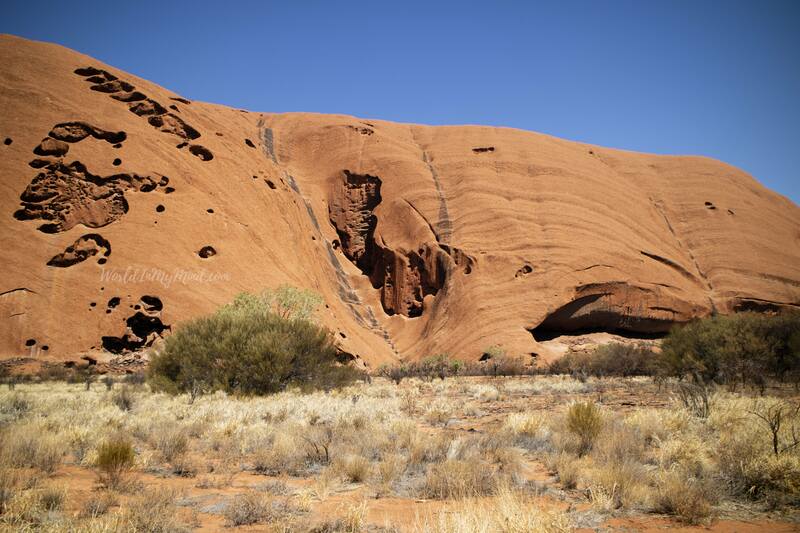 Erosion had marked Uluru’s face with deep cavities resembling wounds. 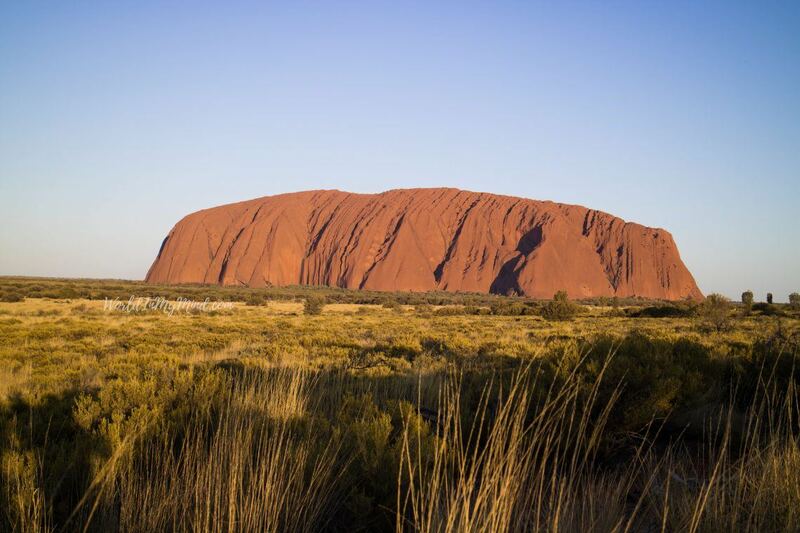 The rock is so sacred for the Anangu people in some areas, that they ask not to photograph or film these parts of the monolith. 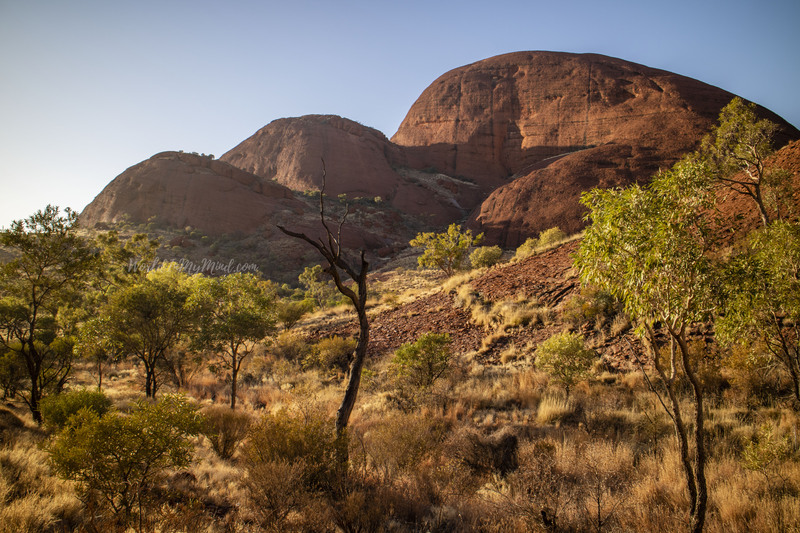 Climbing the site also makes landowners unhappy and, luckily, the Uluru climb will be permanently banned later this year. We walk around the base twice, before sunset and after sunrise. 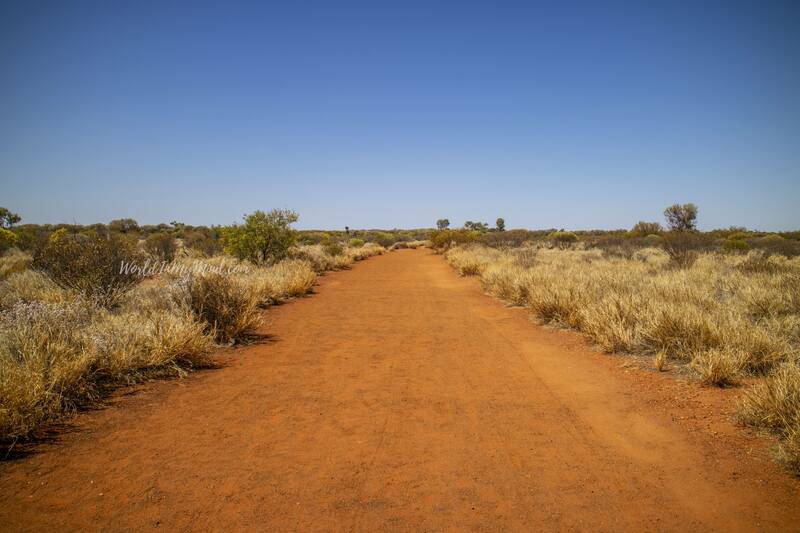 At the Cultural Center, we admire Aboriginal art and learn more about the local culture. Meanwhile, indigenous women quietly create their authentic art next door. 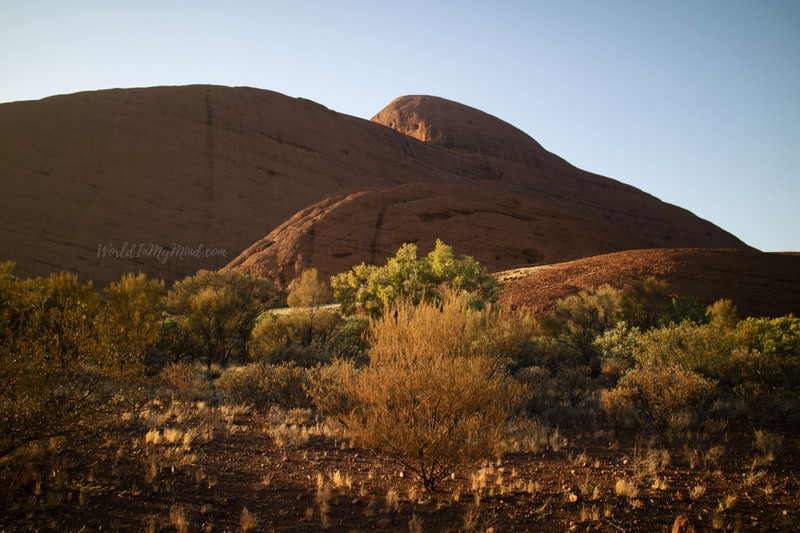 To marvel at Uluru by dawn is both an amazing and freezingly cold experience. The sleeping giant is at first pitch black, hiding in a shadow. However, its iconic silhouette is instantly recognizable. Then the sun slowly emerges above it and reveals the sacred rock as a smile. I’ve never been so happy to get up at 4 in the morning. Sunset in the Red Center has its own magic. 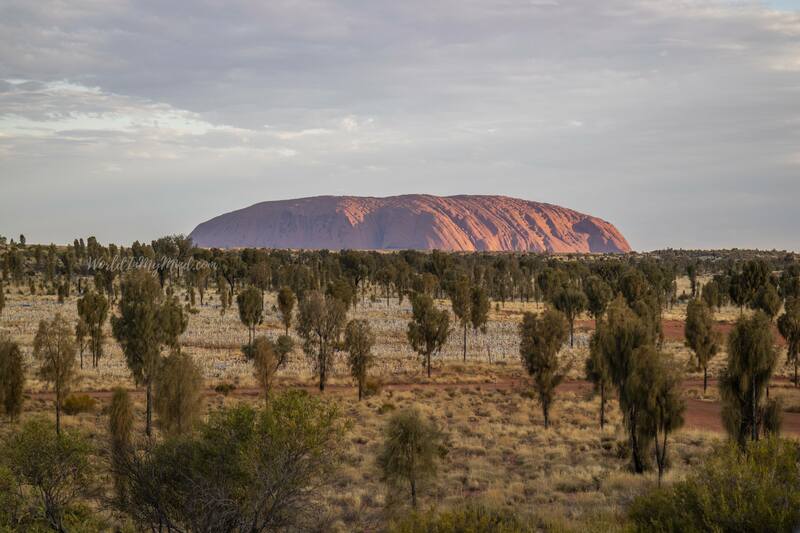 For me, this is the time when Uluru reveals itself fully and its blood orange face sparks strongest. 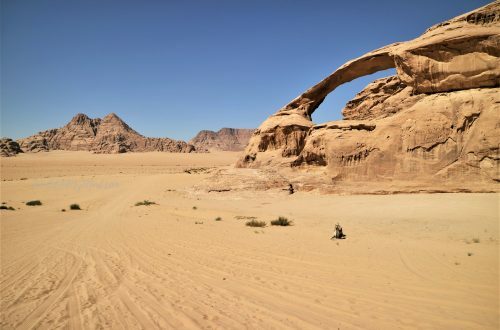 We dine under the desert stars, my shoes full of sand. 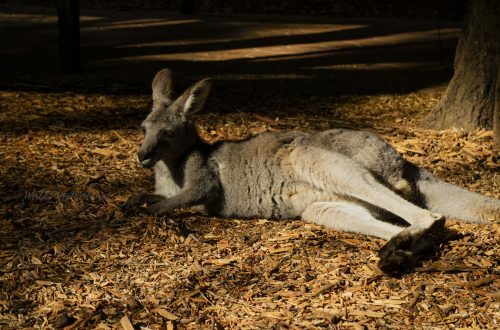 After these experiences, even the signs in the resort warning about Dingoes don’t seem scary. 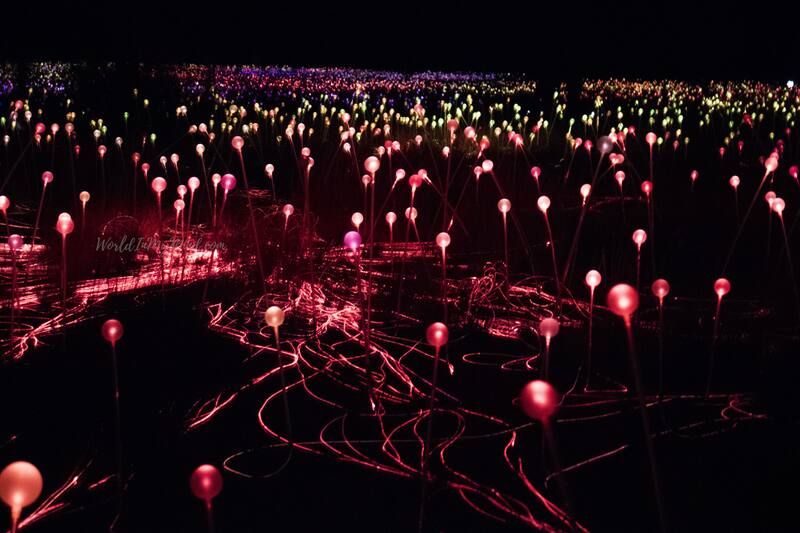 Field of Light installation. Electric dandelions. 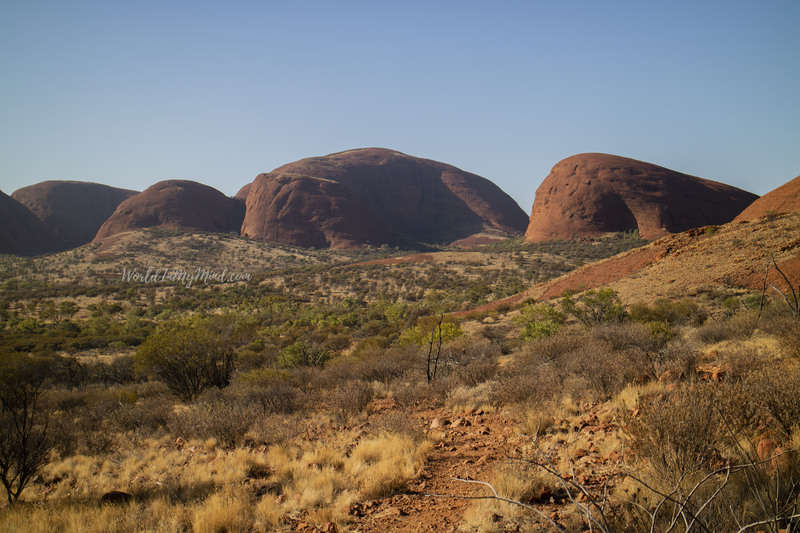 A part of the Uluru-Kata Tjuta National Park, Kata Tjuta is another magnificent and sacred rock formation. 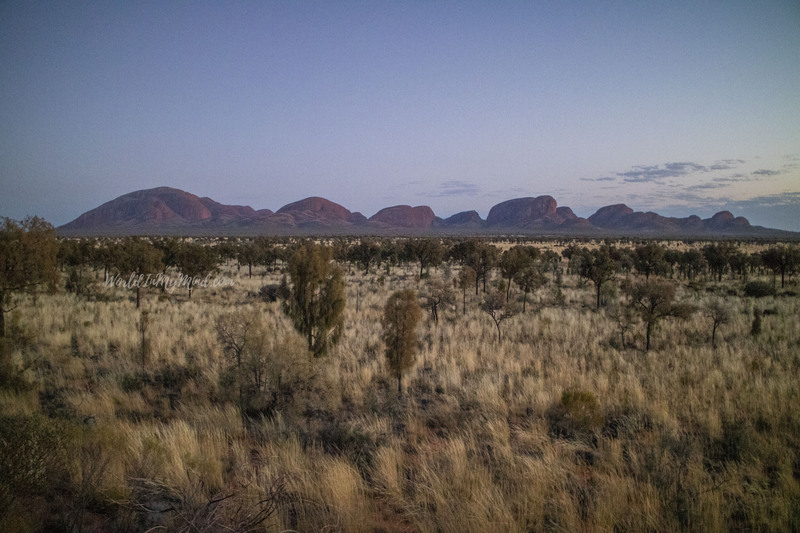 Kata Tjuta means ”many heads” and it consists of 36 domes. 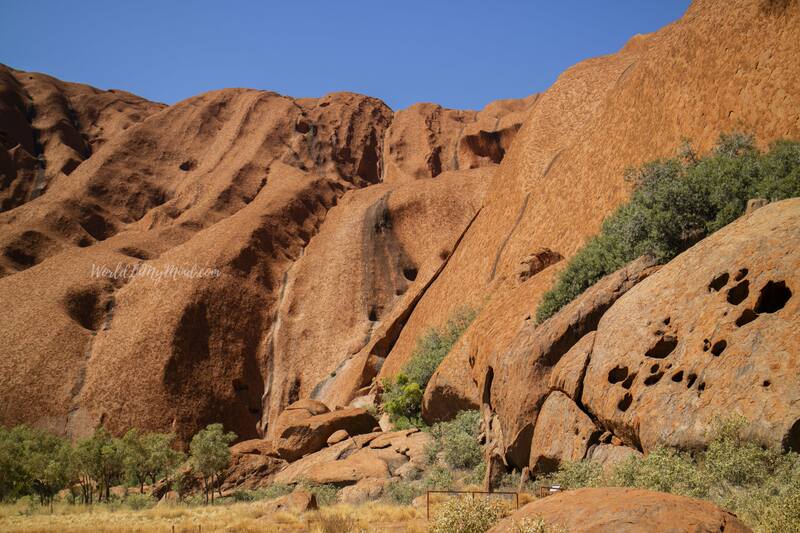 It’s located about 25 km from Uluru. I quickly understand (and feel) the meaning of the hiking trail Valley of the Winds. 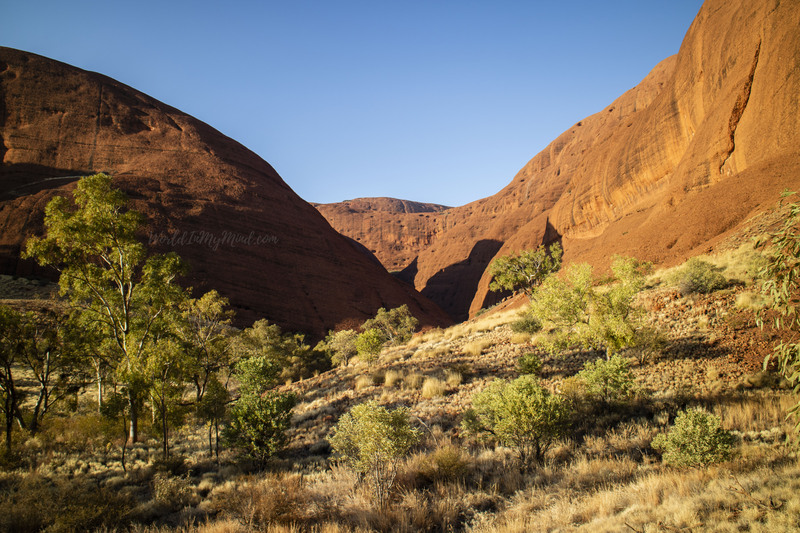 The trees sound like waterfalls while the sun slowly illuminates the Olgas. The hike is moderate, but steep in places. I feel at peace and as I have accomplished something important in my life. Some visitors don’t even continue past the first sign, probably scared by the required level of fitness or the warning not to climb if the temperature hits 36 degrees Celsius. 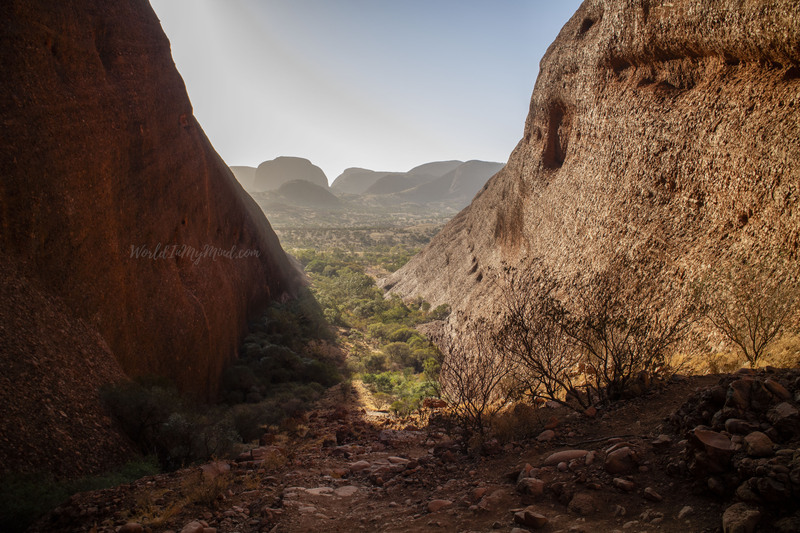 Uluru and Kata Tjuta share one of many common advantages: from certain lookout points, one can admire both colossi. One of them always closer, the other one – always in the distance.